PISCATAWAY, N. J. 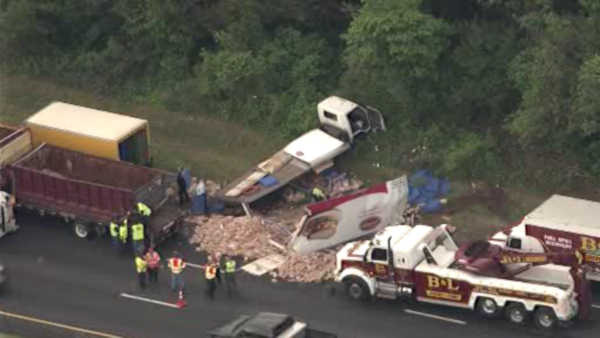 -- A collision between delivery trucks in New Jersey is a sandwich lover's dream. The trucks slammed into each other on I-287 in Piscataway early Friday morning. No one was hurt. 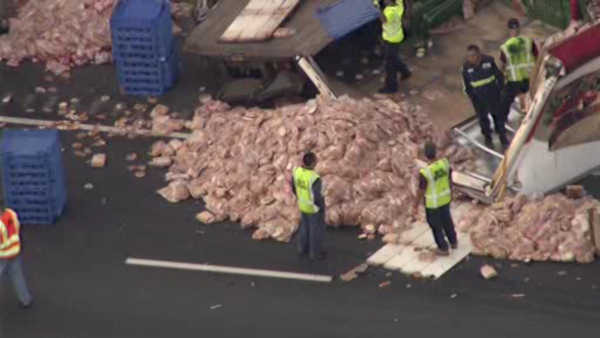 One truck was carrying deli meats and the other was loaded with bread. It took workers about an hour and a half to clean up the mess.